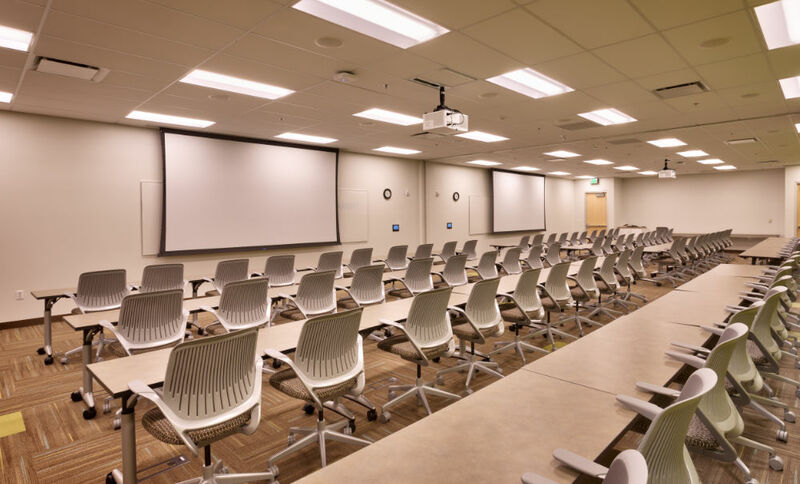 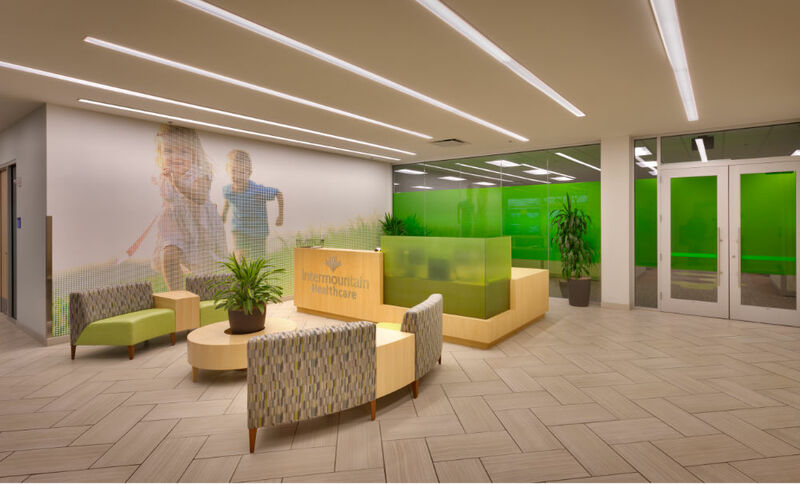 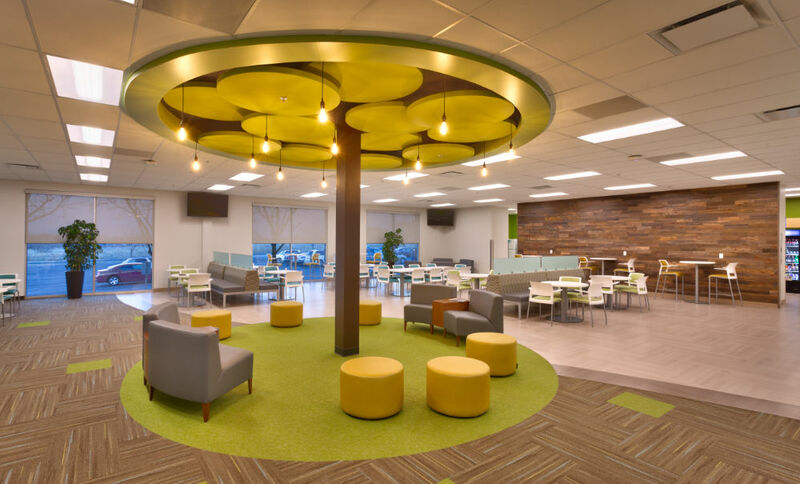 The Intermountain Healthcare Layton Office Remodel is an efficient 82,770 s.f. 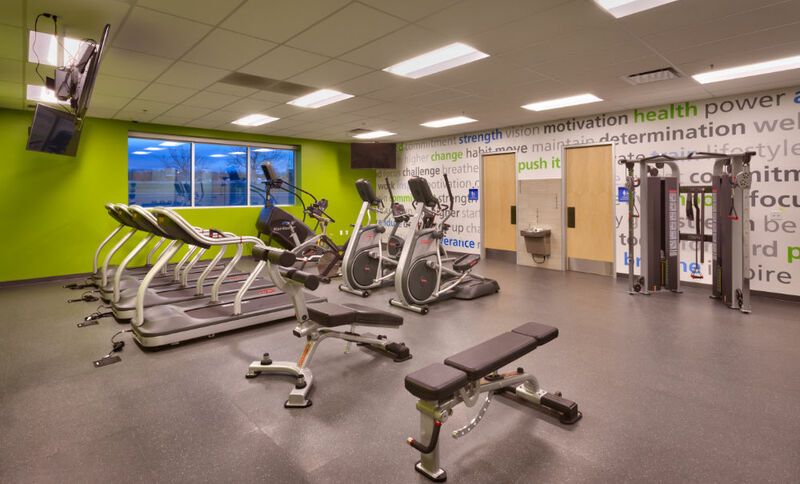 single-story complete remodel project located in Layton, Utah. 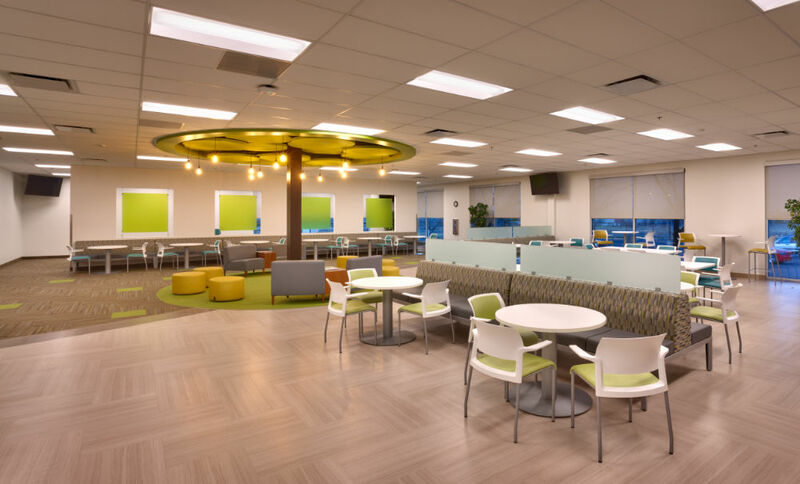 Although healthcare related, the use of this space more closely aligns with a call-center type environment and allowed for coordination between multiple user groups. 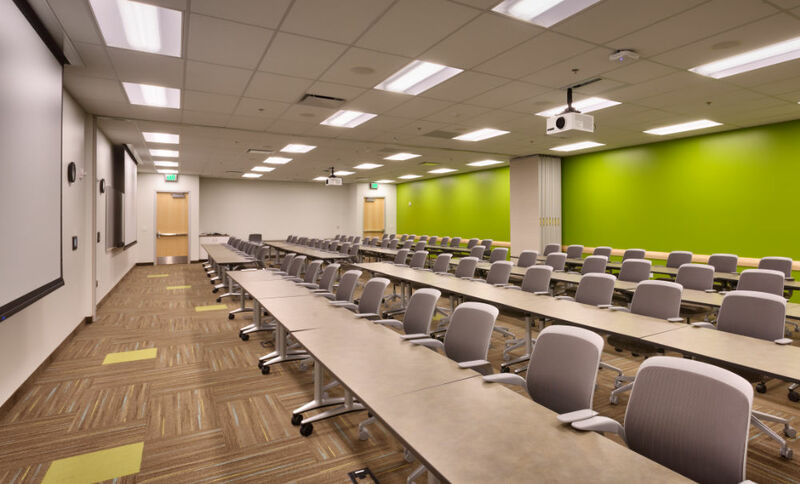 Each user group had differing and sometimes conflicting requirements that needed to be coordinated and negotiated. 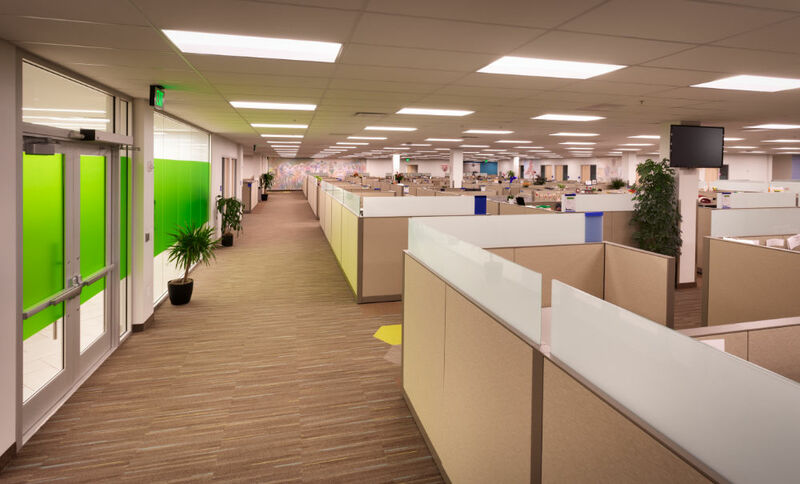 The building contains open office cubicle spaces, office spaces, conference rooms, training rooms, privacy rooms, break rooms, a large cafeteria, an exercise room, restroom and locker room facilities, and IT server rooms. 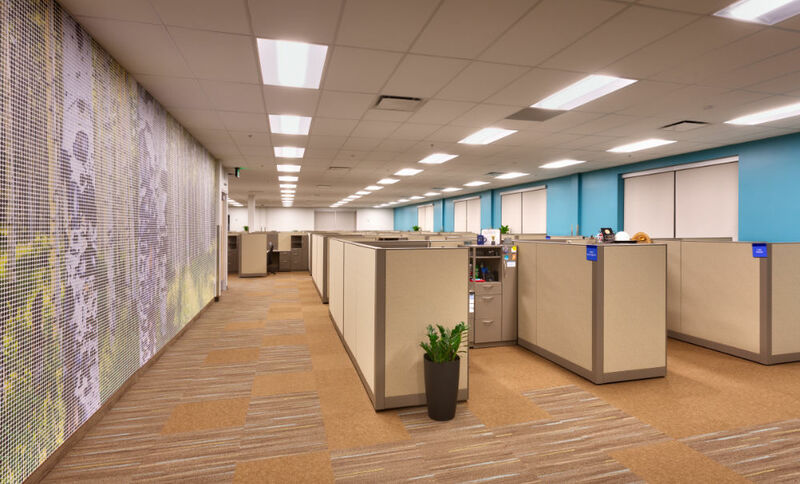 The huge roughly 300’ x 300’ existing footprint of the building provided some unique natural lighting challenges. 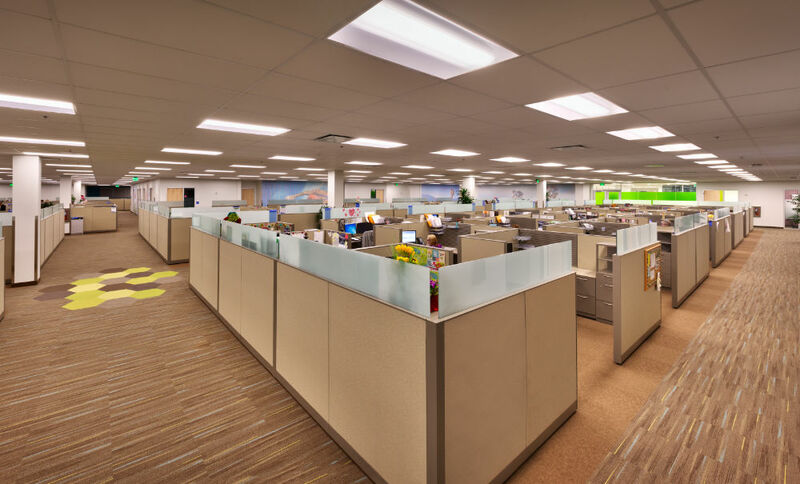 To create a more pleasant work environment, perimeter offices were strategically removed, and skylights, solar tubes and full-glass walls were utilized to help direct natural light further into the space. 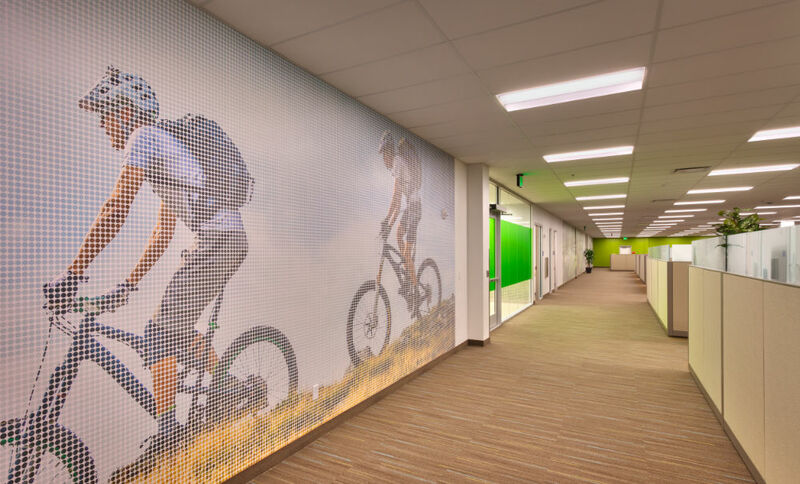 Contemporary finishes, bright colors, and owner requested “Pixel Art” Wall Graphics were employed to revitalize a dated and run down space and transform it to one that is vibrant and enjoyable.